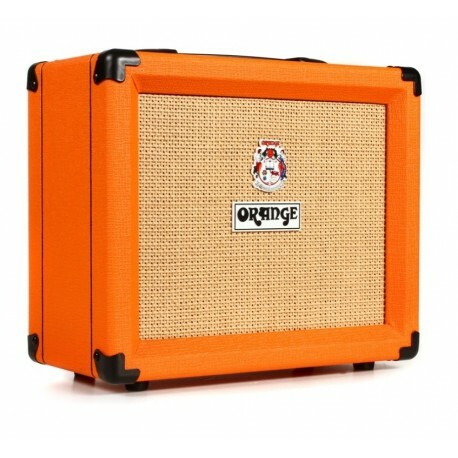 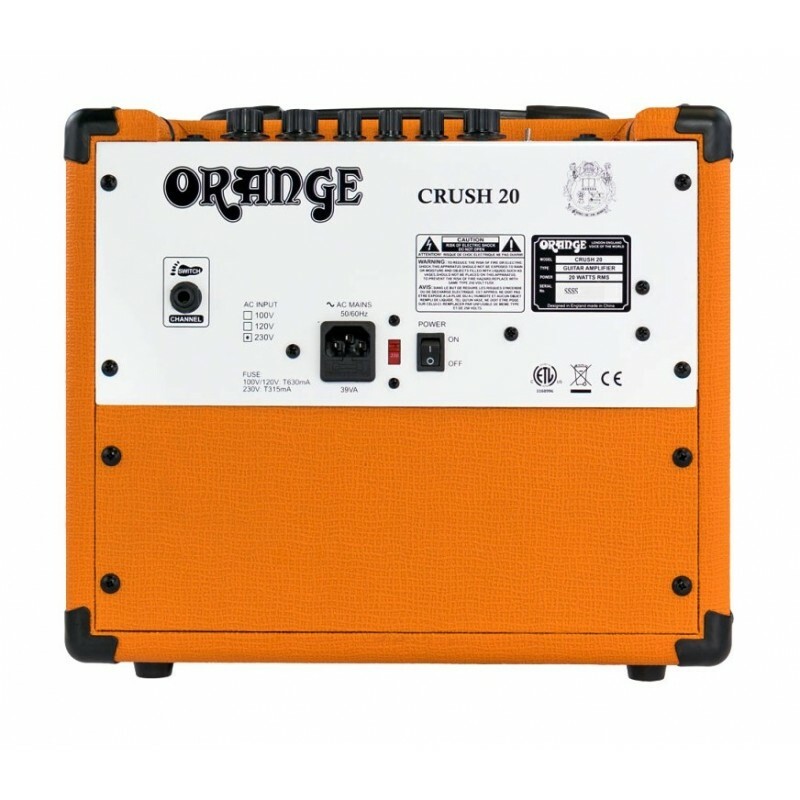 EL ORANGE CRUSH 20 ES UN AMPLIFICADOR, QUE TE OFRECE EFECTOS VISCERALES, CON OVERDRIVE ALTAMENTE RECEPTIVO Y NIVELES DE SATURACIÓN DETALLADOS. 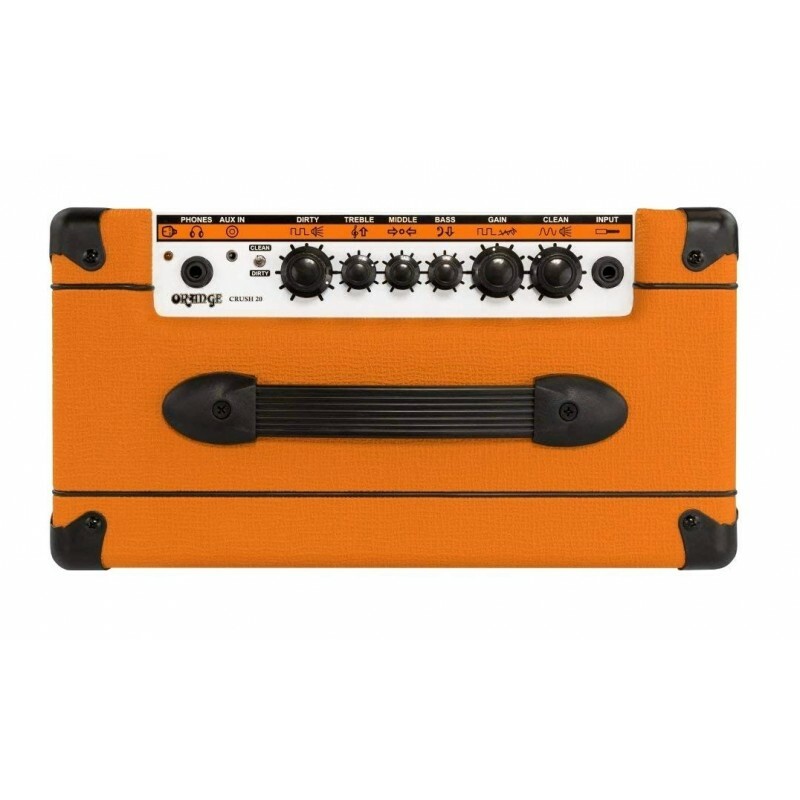 CON DOS CANALES CONMUTABLES POR PEDAL, EL PREAMPLIFICADOR DE 4 ETAPAS DEL CRUSH 20, TE OFRECE TONOS ENORMES Y UN AMPLIO ALCANCE QUE TE LLEVARÁ DE VUELTA A LOS DÍAS EMBRIAGADORES DE LOS AMPLIFICADORES DE GUITARRA ANALÓGICA DE LA VIEJA ESCUELA. 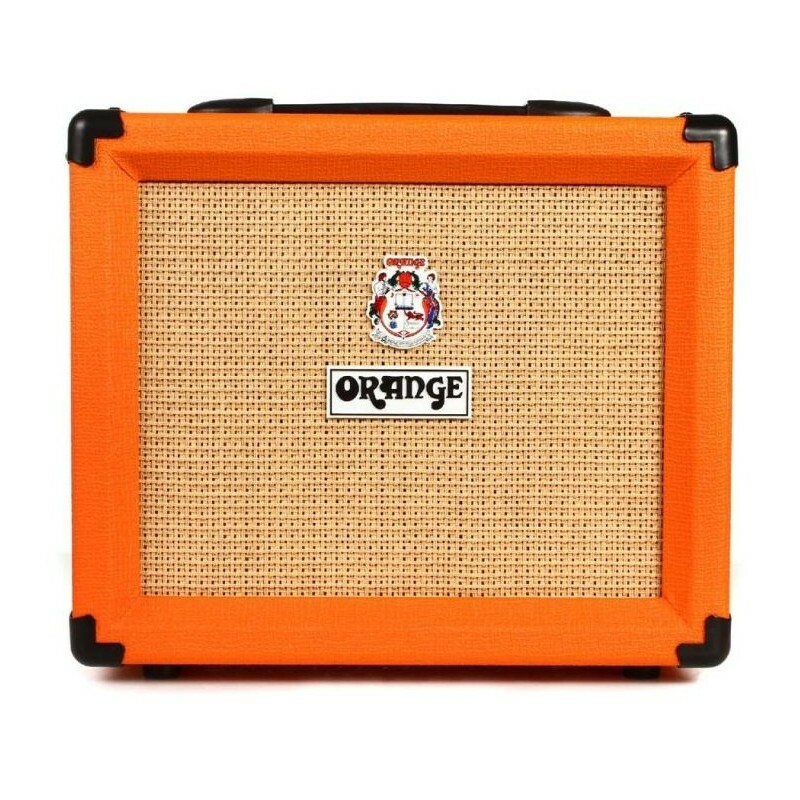 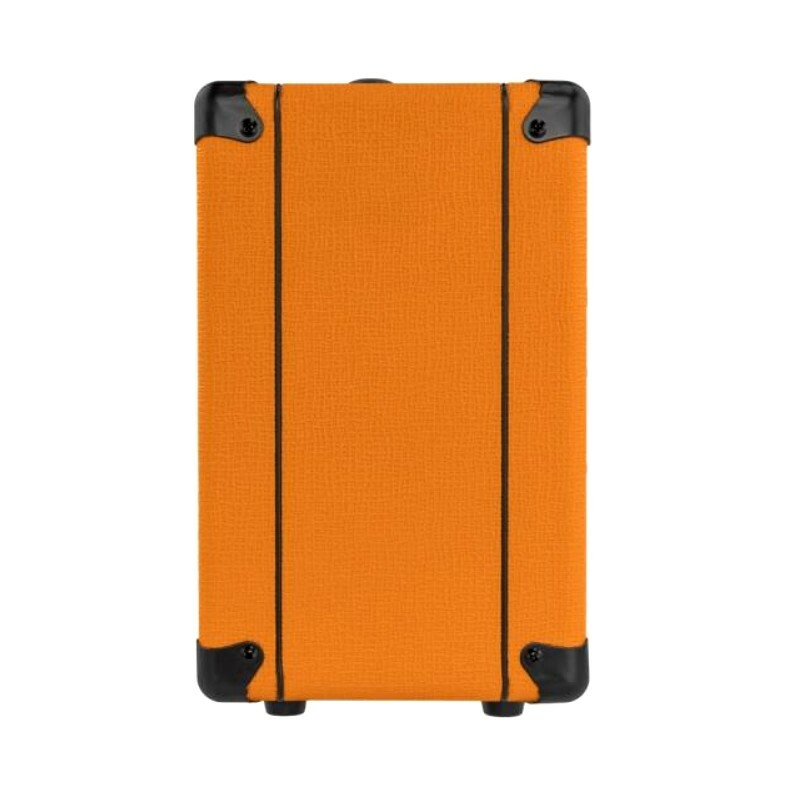 ADEMÁS DE ESO, OBTIENES EL INNOVADOR CIRCUITO CABSIM DE ORANGE QUE FIELMENTE EMULA A UN GABINETE ORANGE DE 4 X 12" A TRAVÉS DE LA SALIDA DE AURICULARES / LÍNEA DEL CRUSH 20. 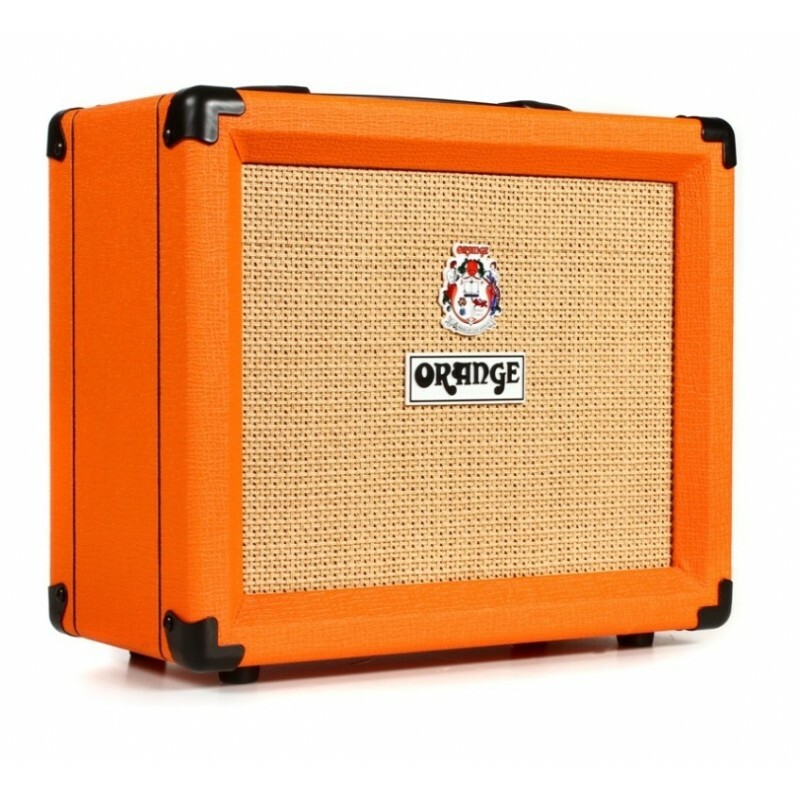 SALIDA DE AURICULARES CARGADA CABSIM EMULA UN GABINETE DE 4 X 12"
TAMAÑO DEL ALTAVOZ: 1 X 8"
ENTRADAS: 1 X 1/4 ", 1 X 1/8"